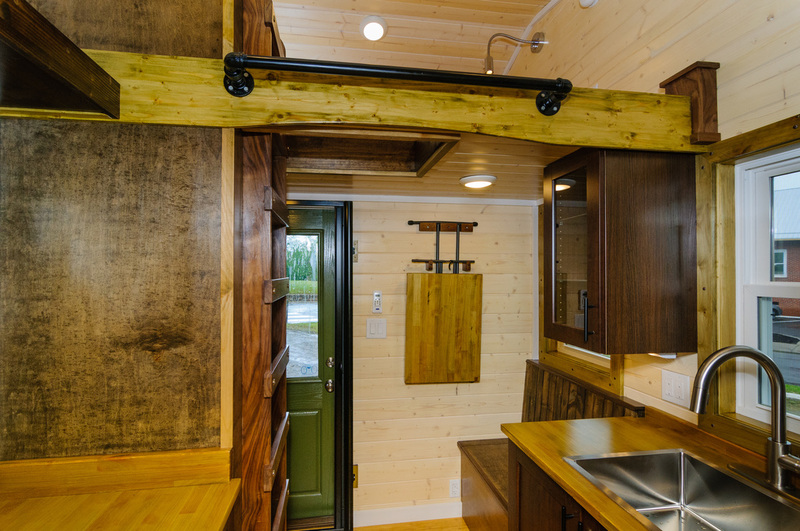 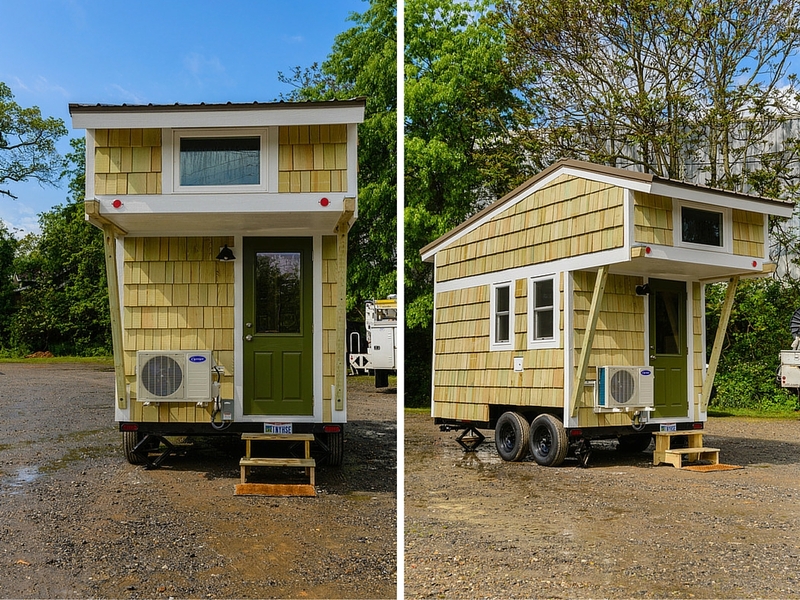 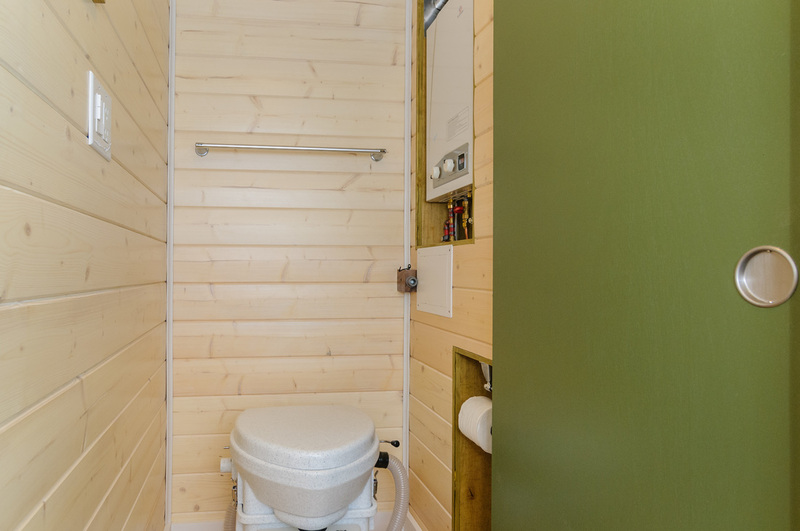 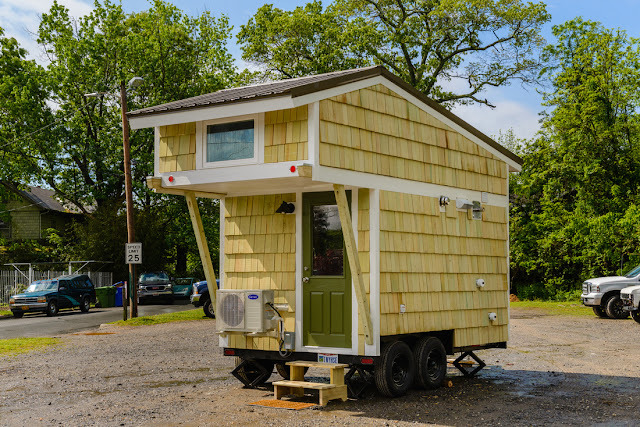 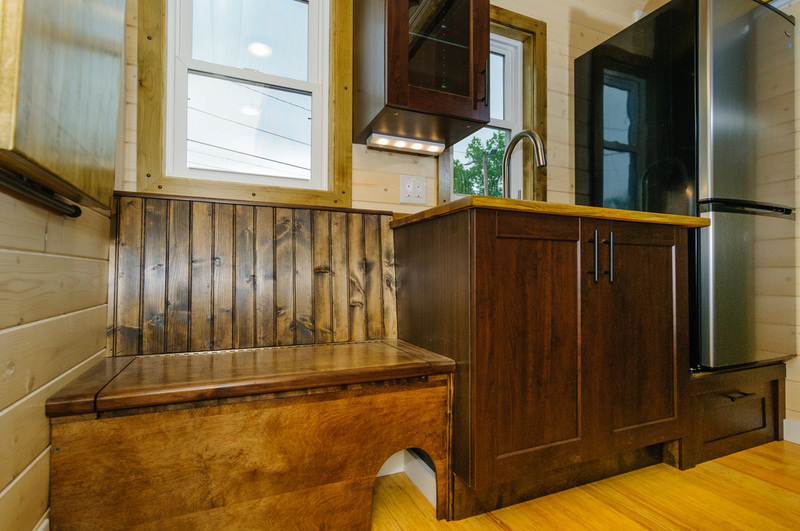 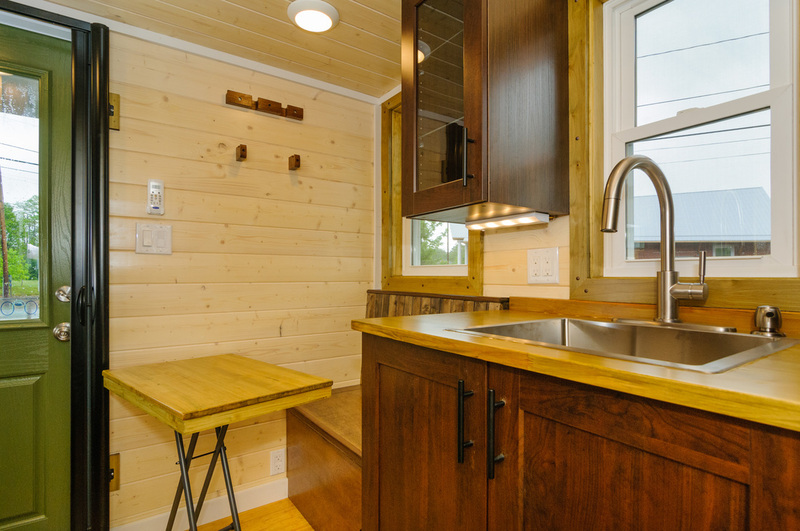 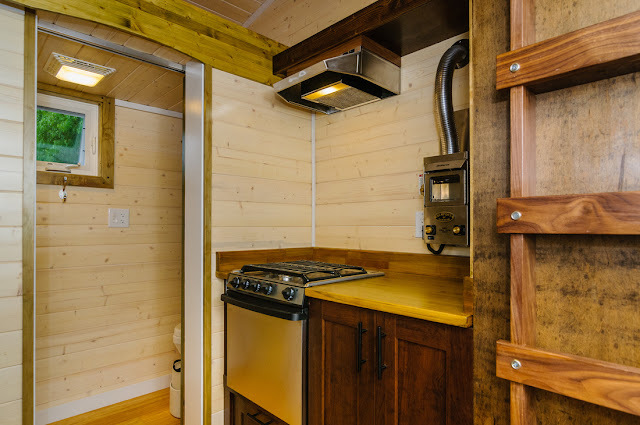 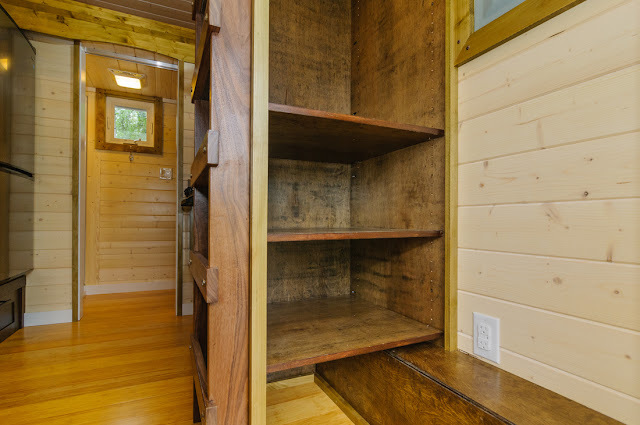 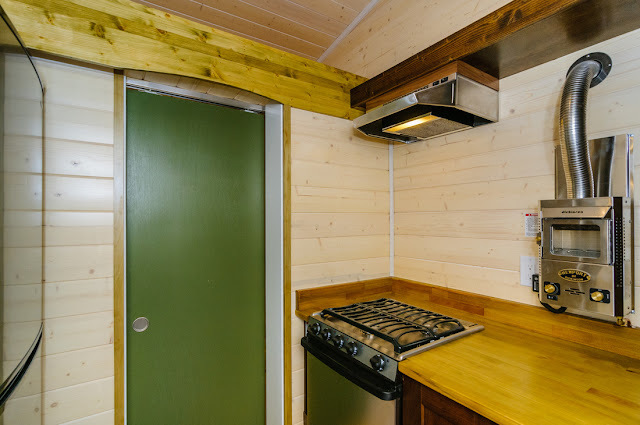 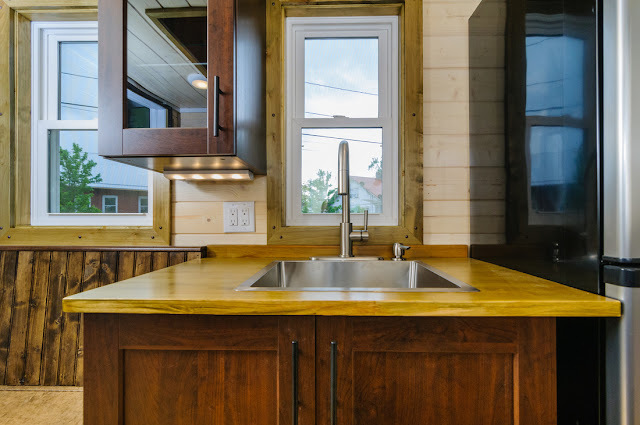 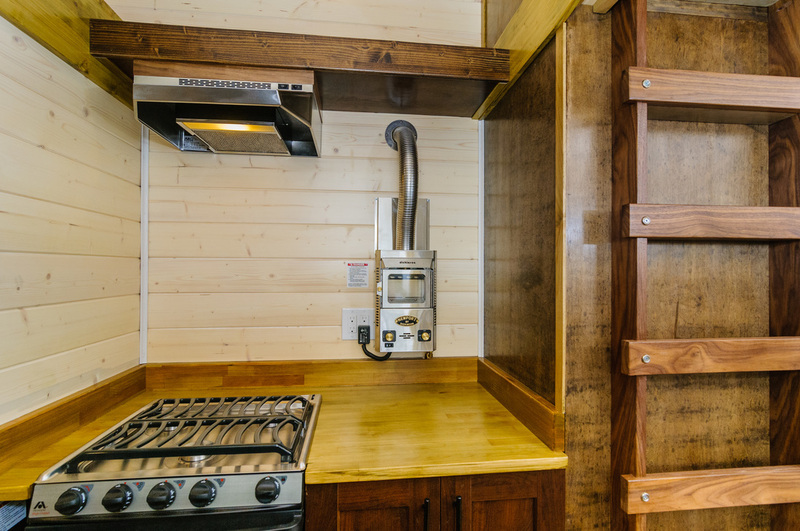 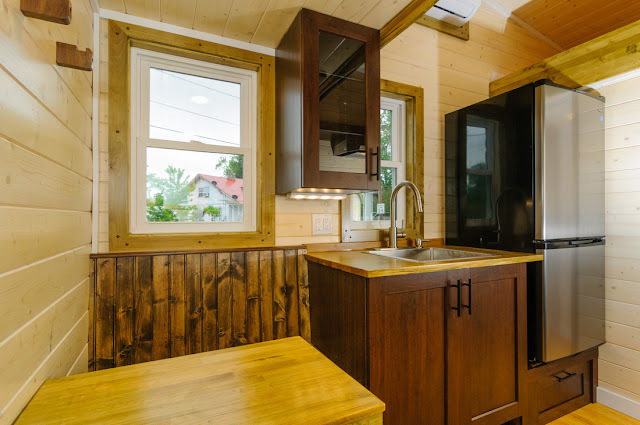 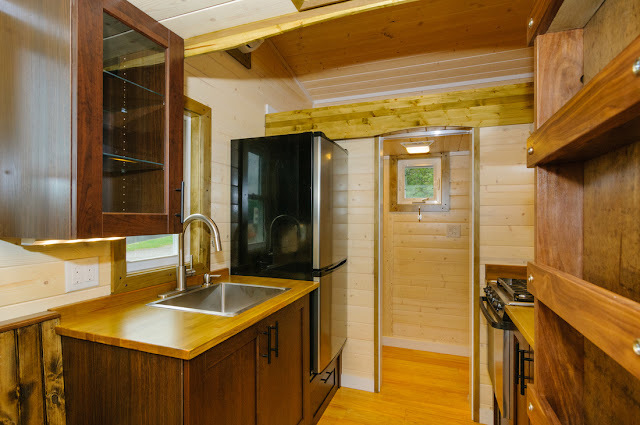 Made by Wishbone Tiny Homes of Asheville, North Carolina, this tiny house on wheels is called “Hardy”. Measuring a total of 160 sq ft, the cheerful yellow home comes with everything you need to feel right at home. There’s a full kitchen, a comfy dining/work space, a living room, loft bedroom, a full bathroom, and even a kitty litter hideaway. 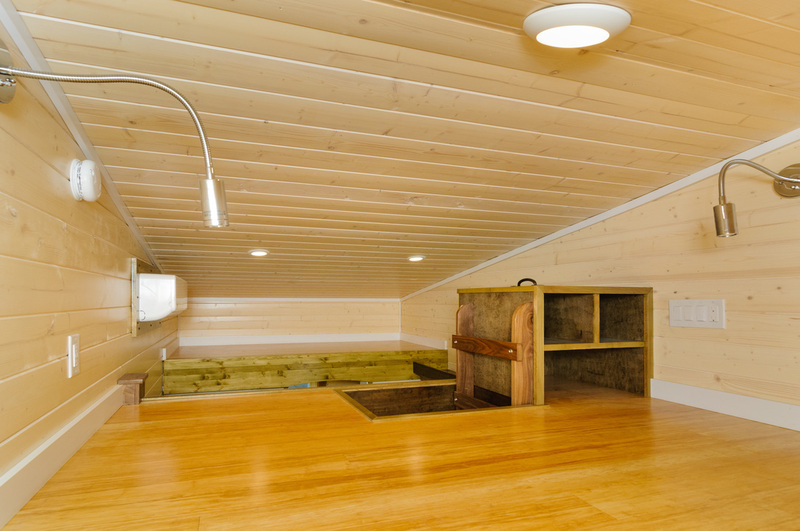 The home’s ground floor measures 8’ x 12’ plus addition loft space measuring 8’ x 8’. This Hardy’s appliances include a fridge, mini split AC/heat and an oven.